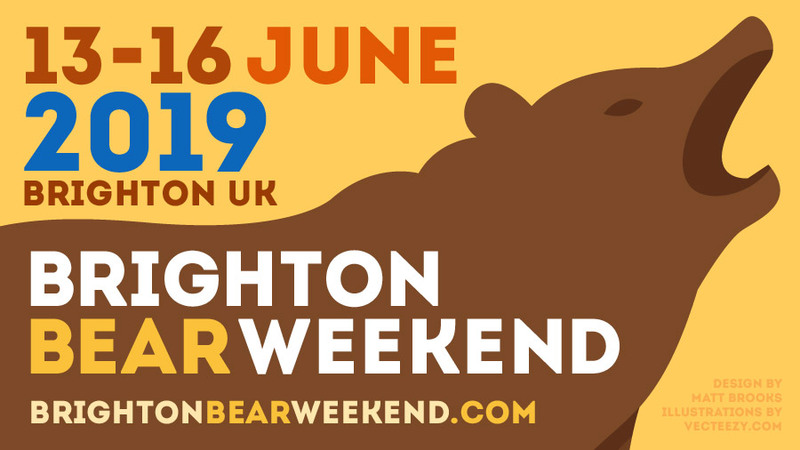 We are excited to announce that next year’s Brighton Bear Weekend will run from Thursday 13 to Sunday 16 June 2019. We will once again have a full programme of fun events, which will be announced here soon. As always, we are proudly supporting the Rainbow Fund, which gives grants to small local LGBTQ+ community groups and local HIV/AIDS charities. So now is the time to book your hotels, flights and trains – and most importantly, book Monday 17 June off work! Check out the Facebook event page, and please click Going if you’re planning to attend. We can’t wait to see you!